Growing up I was determined not to have children. I was going to change the world – be an investigative journalist, or a criminal lawyer defending the innocent. I was certainly, under no circumstances, ever going to be a stay at home mum. And although I changed my mind about having kids eventually, I was still resolute about being a woman with a career. I was running a successful business that I was passionate about, and I felt as though I made a difference to my clients. I suppose I felt important. Then life got in the way. For reasons beyond my control I had to suddenly sell my business during my second pregnancy. And although the choice was largely out of my hands, It was a decision I made with absolute certainty and lucidity and I don’t regret it for a second. 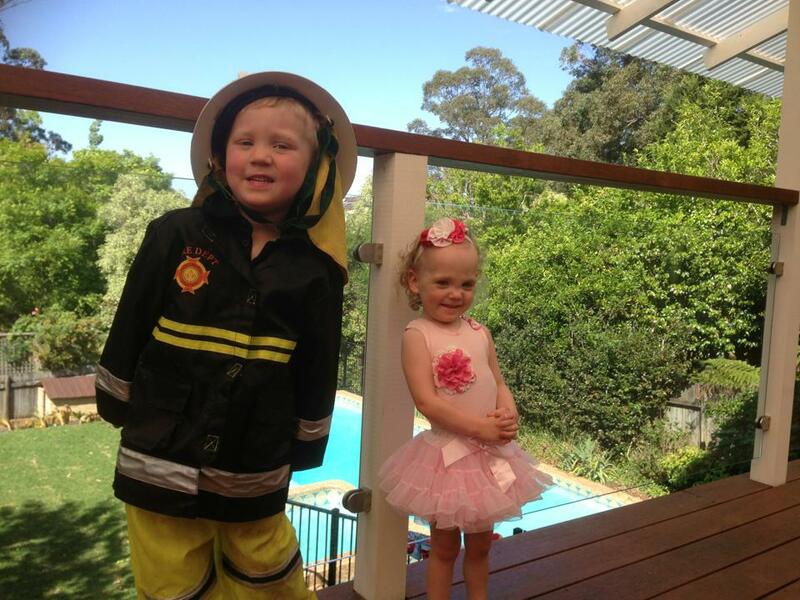 I have two gorgeous, cheeky and highly entertaining, (sometimes infuriating), children who are the centre of my world. I love what I do. I feel blessed to have these little souls grow in front of me – it is happening so quickly and one day they won’t need me nearly as much. For some reason, somewhere deep inside, it doesn’t feel like I am enough. It doesn’t feel important, the way I had pictured my life to be. Sure, raising kids is a difficult thing to do. Nannies get paid for it, and it’s a legitimate way to spend my days. And yes, there is an argument that it’s a terribly important job, that kids get a different kind of nurturing from a parent than from child care. But there are arguments the other way too. There is the fact that I don’t want my daughter, (or my son), to grow up thinking mummies stay at home and daddies work. That teaching kids a good work ethic by working myself sets them up for just about anything they want to tackle in life. And honestly, deep down, I feel guilty. I feel like I am letting the sisterhood down. That I am skating by because I don’t have an income, and that I don’t get enough done. My identity has changed, revolving around my kids instead of my career. I worry that my son and daughter will be sheltered in their upbringing because I am there for every need every day. It’s easy to see where the divide is between those that believe women, (or men), should stay at home with their children and those that don’t. It’s murky, and there is value in both scenarios. I can see where the judgement comes from on both sides. Because while I am certain this is the right course of action for our family, there is just that lingering doubt that I’ve got it wrong, and that there is merit in doing things differently. Staying at home with my kids is hard and it is wonderful. I will see every scraped knee, hear every imagining, play every inventive make believe game and partake in every over ambitious craft project they attempt. It’s not a better decision than working, but it’s the right decision for us. Ultimately having children is about making hard decisions. The kind you are never 100% comfortable with no matter which side you land on. For now, doubts aside, I am comfortable with the choices I have made. Being a stay at home mum isn’t the kind of important I imagined growing up and it won’t change the world, but it will change the world of two little people who mean the earth to me. As a fellow stay at home mum (and a NSM) I completely understand! Love the blog. Kate, it’s amazing that I would resonate so much with this piece, considering I am in exactly the opposite position, but I did. You’re so right about parenting being a series of hard decisions, and it also seems part of the deal that whatever decision we make, we question it, we feel guilty, like we’re not doing ‘enough’. So in my case as a mum in full time employment (fortunately with very flexible hours) I justify my decision with some of the points you’ve made, like setting a great ‘equality’ example for my girls, as well as ensuring our family’s financial security. But on the other hand I am constantly juggling, wondering whether I am giving my children enough of me, wondering whether I am giving my relationships (especially my hubby) enough attention, whether there is enough of me left for me. I try to be supermum, but I drop balls constantly. I try to be present for my kids at important times, but I know I’ve missed a lot. I personally hold no judgement on this issue, and I don’t think you’ve sold out the sisterhood… I think part of ‘womens liberation’ was ensuring women have choice, and insisting that this choice be ‘thou shalt have a career’ seems counterintuitive. For me the decision should be made by each woman based on her family situation, and her own feelings. For me that’s the ‘new sisterhood’… supporting each other regardless of the decisions we make, and being grateful to the sisterhood that came before us for the groundwork they did in making those decisions possible. The next evolution of ‘womens liberation’ MUST be about removing the guilt from the decision… until we do that we won’t be truly liberated! The feeling of unfullfilment is not just restricted to mums. When we are young, “the world is our oyster” to use a hackneyed cliché. Anything is possible. As we get older, reality sets in and we start to realise our capabilities. This should not be seen as negative because we should always strive for better. As our limitations increase, so does our sense of self. “Half full, half empty” to use yet another cliché. I admire stay at home mums, full time or part time mums; after all my wife is one. They do things that I can never do (apart from bearing children) . A personal observation is that kids go to their Dads when times are good but when they are hurt or sad, its usually Mum who is their sanctuary. I think being a mother must be one of the most beautiful things in life.